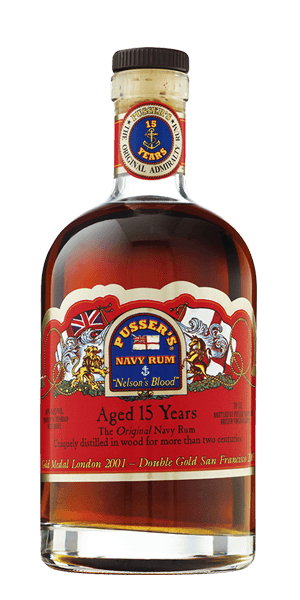 Browse 30 reviews for all Pusser's products. You can find the newest reviews at the top. Good drinking rum , take it with ice very smooth. I love it, great rum. You can drink it as a shot and great mixer. Notes of caramel, raisin, date, and fig up front with vanilla towards the back end. Say what you will about their PR, this is definitely the best rum for a painkiller around. This is just good. The taste has "weight" to it. This is just a tick behind the Larga Vida for me in overall flavor. Exceptionally easy to sip neat or with one ice cube. 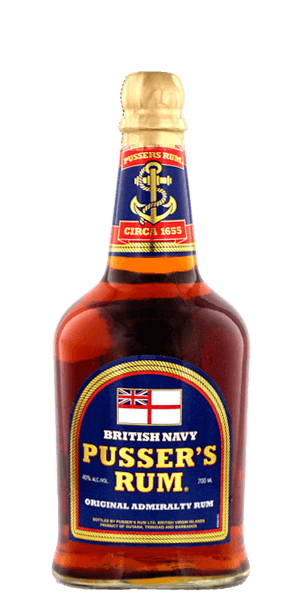 There's a reason why this is the official rum of the British Royal Navy! A great addition to my home bar! The flavor is heavy with dried fruit and molasses. This is a dark rum and floats well atop real ginger beer (I prefer Reed’s or Goslings). The proof at 109 provides some heat for sipping but not up front. The flavor of fig and cane stays for awhile after... If you like rum or heavier liquor, check it out. If you’re thinking about rum, be adventurous! Flaviar ‘s Price point is a fair one. My Go to rum. Drink over ice. Smooth as Patrick Stewart’s head. Live this Rum! Maybe it’s the English heritage. Tasting chart is spot on. Hard, Hard to find. Hopefully Flaviar gets it hands on some again. Not a big rum guy but this is my go-to when I'm in the mood for it. 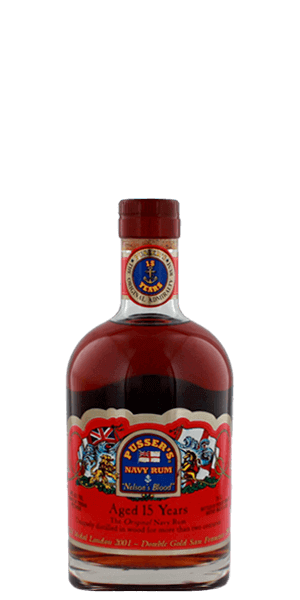 It is a very good cane liqueur from the Caribbean (previously known as Blue Label) is a higher proof traditional British Naval rum, produced using the blending recipe from the Admiralty. 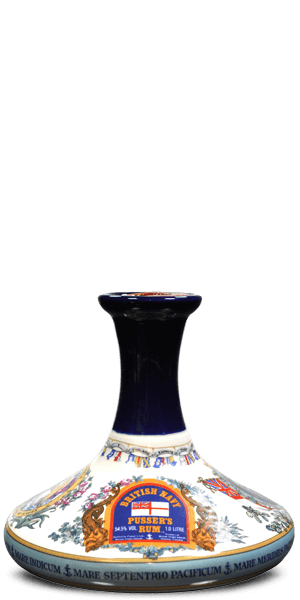 It opens full of dried fruits, dates, prunes, slightly overripe figs; the palate is very sweet, plenty of dark, syrupy, stewed fruits. An interesting pot still character with a pleasant muddiness. Full-bodied for an incredibly long & dark finish. 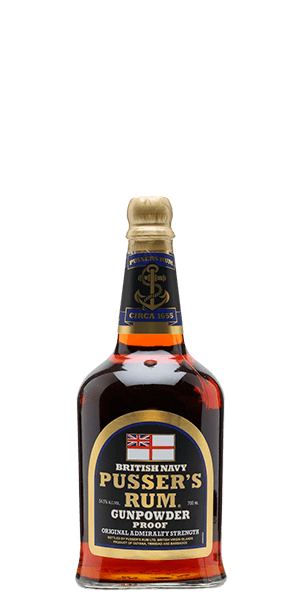 It is an outstanding 15 year old Naval Rum finishing very long & syrupy with dark spices. Interesting fruity rum. Has a bit of a burn/bitter taste but the sherry is very noticeable. This is now one of my favorites! Although it seems hard to get. Very smooth and easy to drink. If you have not tried it, you don't know what you are missing. O. M. G. This is the stuff pirates sing about. The only stuff I've had that comes close is the Havana Club Reserve. Don't mix it, don't even THINK about mixing it. Just sip it like your favorite whisky and your taste buds will thank you. I can't wait to get another bottle! If you need a staple for your bar this is the one to always have in stock. I found that I had to let at least 3/4 of the ice ball melt to make this rum easy enough to drink. Sorry boys. Didn't care for this one. I am new to aged rum but I have to say after finishing approximately 3/4 of a bottle, this is delicious and far surpassed my expectations. I agree with Christopher, one of the best rum's I've had, maybe the best. A wonderful rum; a smooth swallow, fruity and a bit sweet for my taste, but I wouldn't ever kick it out of bed. Great work here.